The Daily Randi: Back Dat Thing Up. My MacBook checked into The MacHospital on Monday. I took it to A Computer Place that The "Geniuses" At The Apple Store sent me to. The "Geniuses" seemed Snarky and Stumped. However, The Computer Place they referred me to were Not. Before even looking at My MacBook, they guessed that The Problem was My Hard Drive and told me so in A Very Nice, Non-Condescending Way. Apparently, Apple outfitted Thousands of MacBooks Just Like Mine with A Specific Seagate Hard Drive and they all Crash. Apple won't issue a Recall because they claim It Is Not Their Problem. Seagate says It Is Apple's Problem. Sure enough, The Computer Technician unscrewed My MacBook in front of me and took out My Hard Drive. It was The Seagate One. Then they gave me The Bad News. "None of Your Data will be Recoverable!" It seems that The Way The Hard Drive Fails, it Scratches Out All Your Data, making it impossible for even The Savviest Of Computer People to Get To It. I paid $90 just to have them Try. But, on Thursday, they called me to tell me I Wasted $90. They did Replace My Hard Drive with A New, Much Bigger, Non Seagate One. I picked up My Refreshed MacBook on Friday. They told me I seemed Very Calm compared to Most Of Their Customers Whose Hard Drive Fails And They Are Unable To Recover Anything. I told them I looked at The Whole Mess as Spring Cleaning. I got rid of A Ton of Clutter! Okay. So, it is all Okay. I never Backed Up Anything on My MacBook. But, I had Backed Up all my data on My Old Computer, which was only Fifteen Months Ago. So, I have My Older Stuff. 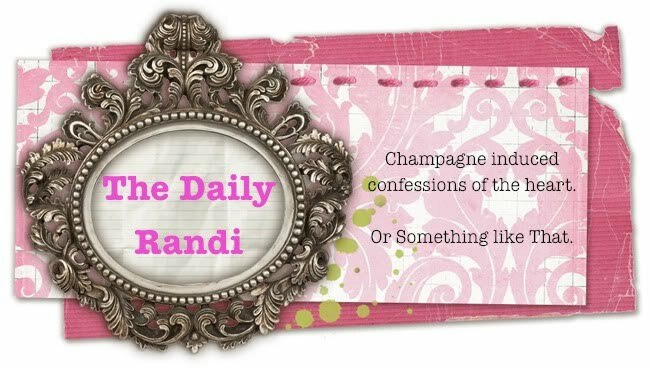 All My Daily Randi Posts exist in Cyberspace. Totally Awesome Fiancé has All Our Pictures. I used This Awesome Program called, "Senuti" to retrieve My Huge Music Collection from My iPod. It also let me retrieve My iCal Calenders, too. Some things I will need to Replace. Like, well, All Of My Freaking Lesson Plans. And My Address Book. Otherwise, it is like I Have A Brand New Computer! Honestly, This Thing is running Better and Faster than Ever! Anyhow, The Moral of The Story is that if You Have A Computer, BACK THINGS UP. Also, if you have A MacBook, purchased around August 2006, CHECK YOUR HARD DRIVE MODEL. And if you have The Same Hard Drive I Had, BACK THINGS UP. Just, BACK THINGS UP, People! BACK IT UP! And we'll now return to Our Regularly Scheduled The Daily Randi Programming. I am a MacBook owner. Thanks for the warning!